THIS ITEM CAN BE PURCHASED BY THE CASE AT A LOWER PRICE. If you want to purchase a case of this item, click on the case information below, IN BLUE PRINT. Commercial grade wholesale Irish Flat Shells, Great Scallop, Pecten maximus, measuring approximately 3-1/2 inches to 5 inches are used in making seashell angel ornaments, seashell flowers, making seashell mirrors, wreaths and in numerous shellcraft projects. 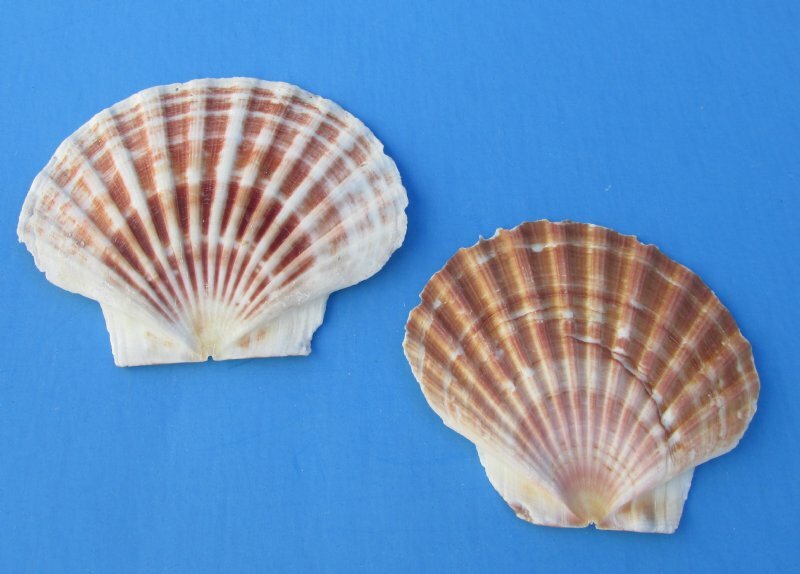 These shells are commercial grade and are being sold in bulk. 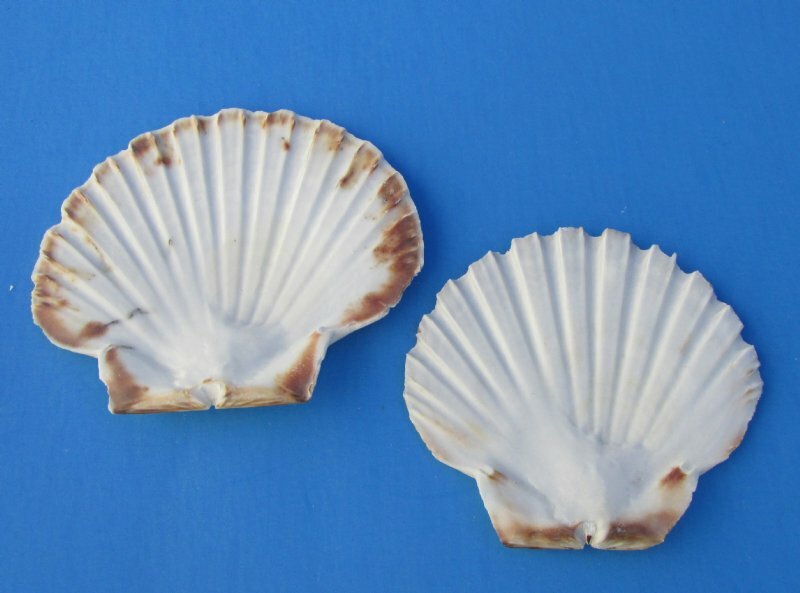 There will be some shells with chipped edges, and natural blemishes. 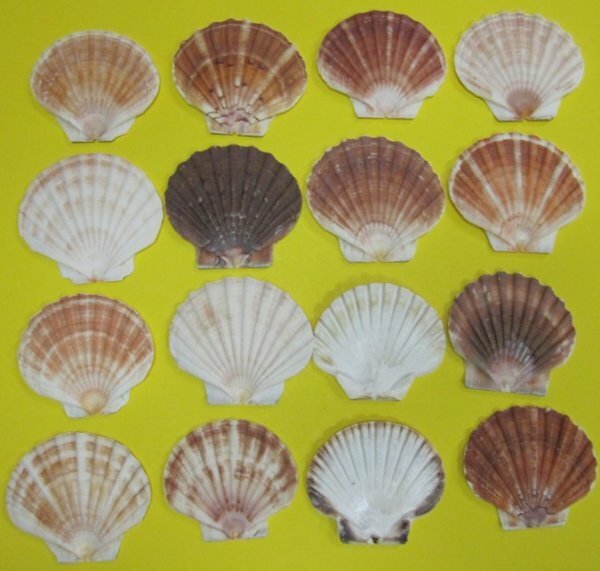 We do not sell museum quality shells.